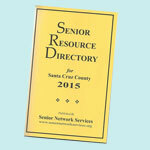 A list of individual subsidized projects and other housing options can be obtained from Senior Network Housing. You may click here HousingOptionsbooklet to download a pdf of individual subsidized projects and other housing options for your convenience. Subsidized senior housing is available. Call the Housing Authority or Senior Network Housing for information. A list of individual subsidized projects and other housing options can be obtained from Senior Network Housing. The Long-Term Care Ombudsman and the Mental Health Patient’s Rights Advocate Programs. Information and guidance on selecting a nursing home, residential care or board and care facility. Provides emergency services, short-term and long-term housing as well as comprehensive support programs. Includes Homeless Community, Resource Center, Page Smith Community House, Rebele Family Shelter. California Rural Legal Assistance Inc.
Legal advice for low income people under 55. Information and counseling on housing options for seniors. Senior Shared Housing Program matches people who have homes with people seeking affordable housing. Administers housing for medical emergencies (motel vouchers), rental assistance programs to avoid eviction, voice mail for homeless and shelterless people. Office hours limited. Please call for an appointment.